The regional event took place in FT. Worth, Texas and united key industry professionals from Texas, Louisiana, Arkansas and Oklahoma all under one roof. Sundance Square home to 21 shops and 34 restaurants, was the ideal setting for the first Red River States Conference & Deal Making. It showcases some of the most innovative concepts in retail real estate, merges new and historical architecture, offsets 50% of its annual energy needs and hosts over 10 million annual visitors. With a venue and timing change, attendance appeared to be down this year at ICSC Red River 2019, however the passion of deal making was up! Meetings were booked solid for the J. Beard Real Estate Company and the tone was to get deals done. Overall, the take-a-way was a more productive ICSC than year’s past, where quality over quantity was the theme. Regional Deal Makings are a one-stop for education, networking and deal making. This two-to-three day regional event provides opportunities to gain information about the most current industry issues, and meet and make deals with colleagues doing business in the same region. The J. 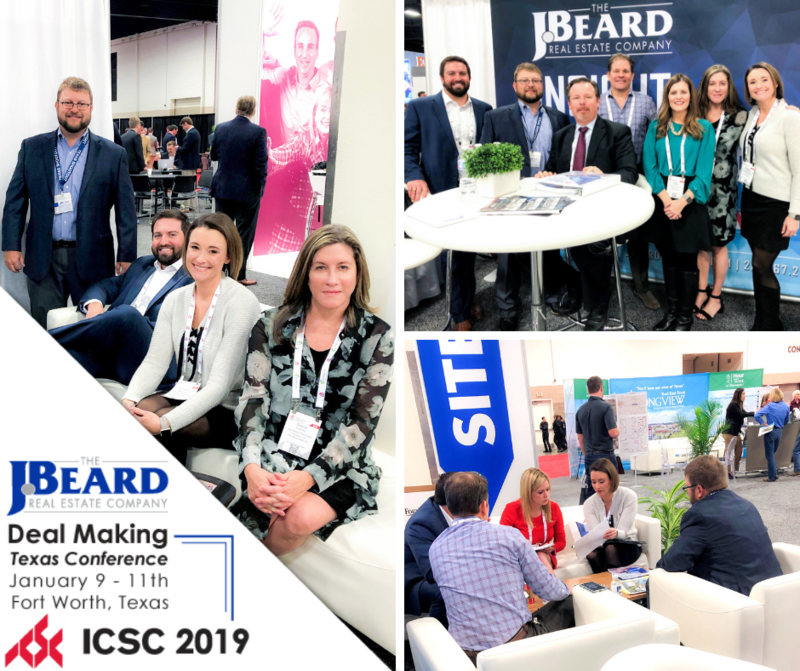 Beard Real Estate Company looks forward to next year’s ICSC event.